Come join the fun, and collaborative team here at Twin Cities Habitat for Humanity ReStore! We’re currently hiring a full-time, and part-time ReStore Sales Associate. These positions require quality service to customers and offers an active and busy work environment. To learn more about the positions, and for a full job description, please visit tchabitat.org/careers. Mark Lampman has had a handful of careers over the years, but a series of interesting events led him straight to the Twin Cities Habitat for Humanity ReStore in Minneapolis as a Sales Associate. When a Twin Cities Firefighter approached the ReStore with an opportunity to decorate a holiday tree to benefit Operation Warm, they jumped at the idea. Not only are ReStore volunteers decorating a tree that will be sold in a silent auction, but they are decorating several doors that will display wreaths for sale at the upcoming Minneapolis Holiday Boutique (November 10-12, 2017 at US Bank Stadium). Do you recognize that face? Maybe you’ve seen her at the State Fair? Or was it on her regular DIY Friday segment on WCCO? 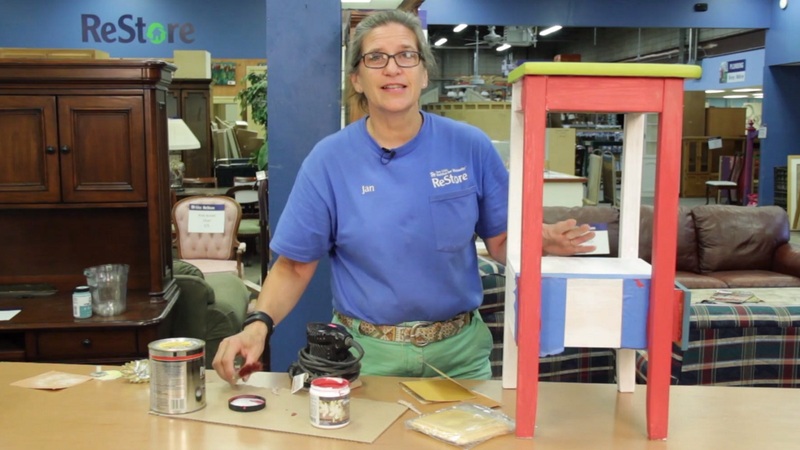 You could’ve spotted Jan Hagerman in either of those places, or where she spends quite a bit of her time—at the Twin Cities Habitat for Humanity ReStore in New Brighton where she’s the Assistant Store Manager. If you’re looking for an awesome DIY project or in need of some inspiration, then Joe Jennings is your man to talk to. As a student, you hardly expect a class or credit you take in high school to lead to a full-time job. But that's just what happened for a local Cristo Rey Jesuit High School student here at our Minneapolis store.